WordPress, one of the largest blogging platforms to date, it’s what I as well as Many other have chosen to run their sites on. The beauty of WordPress as a platform is that it’s widely adopted and as such easy to find help, solutions and plugins to. 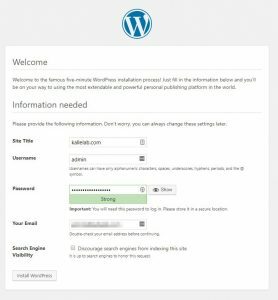 Anyhow, this is not about how to use WordPress, it’s about how to install it, specifically on Virtualmin, and even more specifically, how to do it with an Install Script. ie, Automated install via the Virtualmin interface. The logic of a WordPress installation on any LAMP stack (or the type of host environment you’re using that’s supported) is in essence, download the WordPress installation, create a DB on your server, point the WordPress files to it via the wp-config.php file, read more here or here. This is also the way it’s usually done on Virtualmin, it does require some patience as well as the correct tongue angle during setup, but once it’s done it’s done. The much easier way of doing it is utilizing Virtualmins Install Script feature that let’s you run a “runbook” of sorts on the virtual server. First off the script will have to be installed on the server and enabled for use during setup, download wordpress.pl from GitHub. Proceed with installing the script via Virtualmin > System Settings > Script Installers > Add Script. Secondly, make sure that the script is enabled for use via Virtualmin > System Settings > Script Installers > Disable Scripts. With the script in place, enabling WordPress on a virtual server is no more complicated than creating the server in the first place. 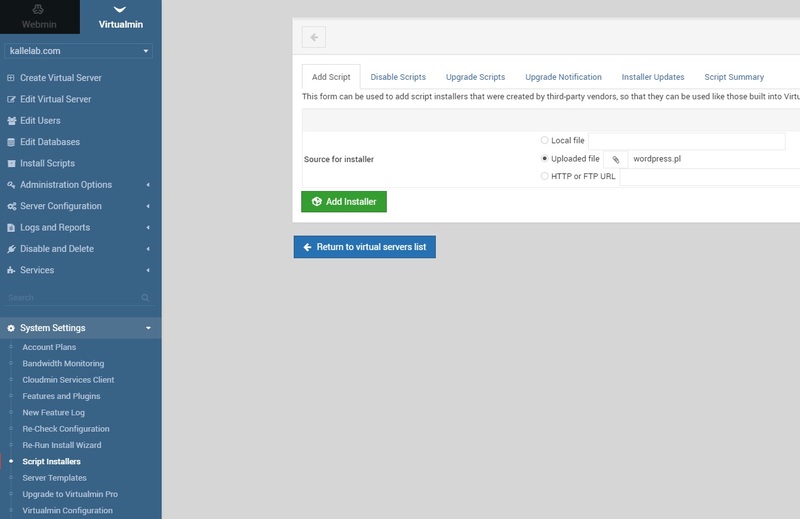 Head over to Virtualmin > Install Scripts (with the correct server selected of course), select WordPress and proceed with Show Install Options. Change the default option of install sub-directory under to At top level and proceed. Twice. Follow the friendly instructions to complete the installation. 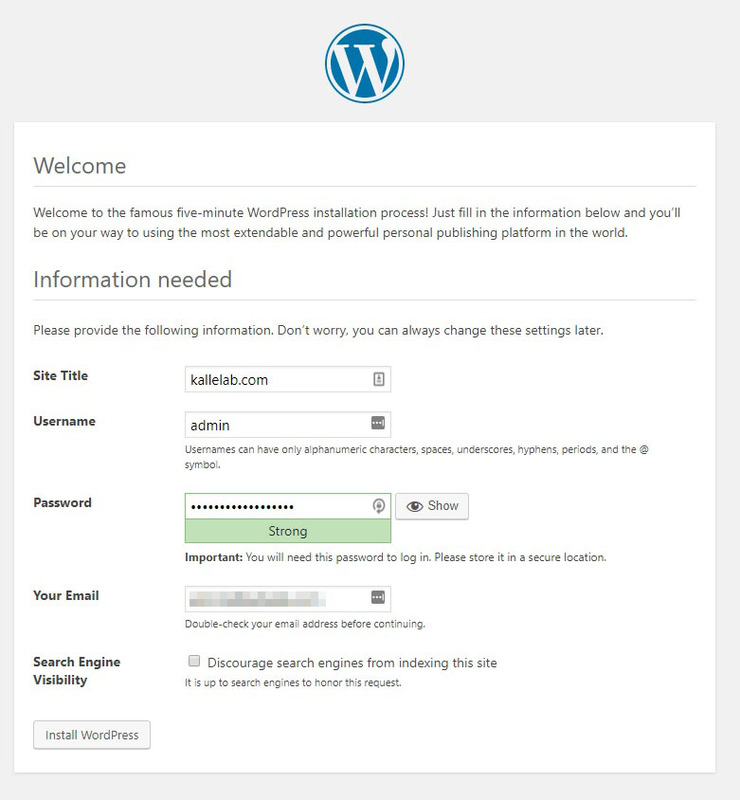 Thats it, you’re now up and running with WordPress, make sure to quickly apply any available updates. This entry was posted in Server and tagged Virtualmin, WordPress. Bookmark the permalink.